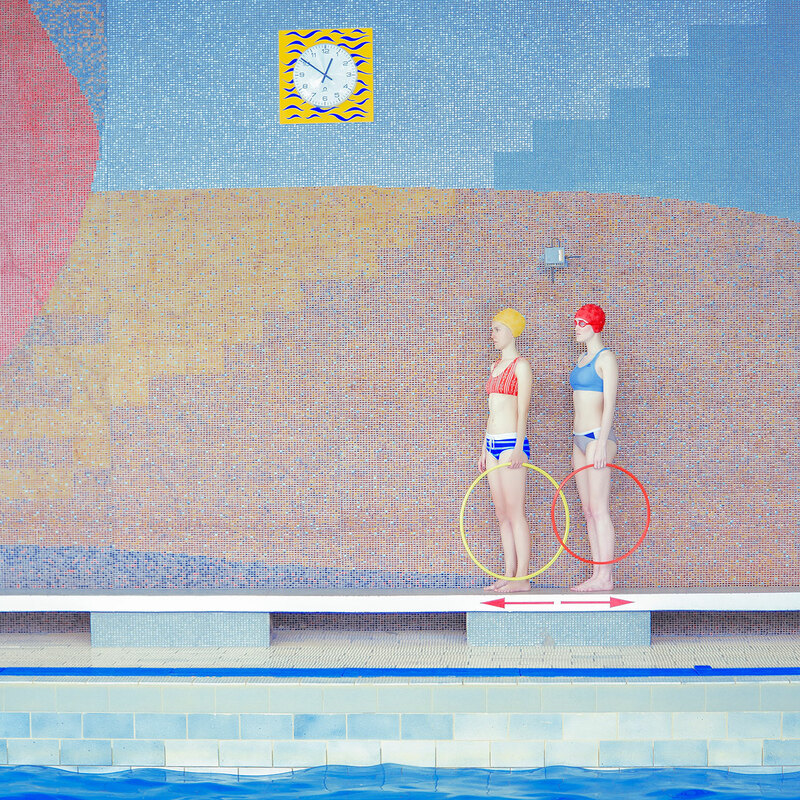 Mária Švarbová, Plants and swimmer. © Mária Švarbová. 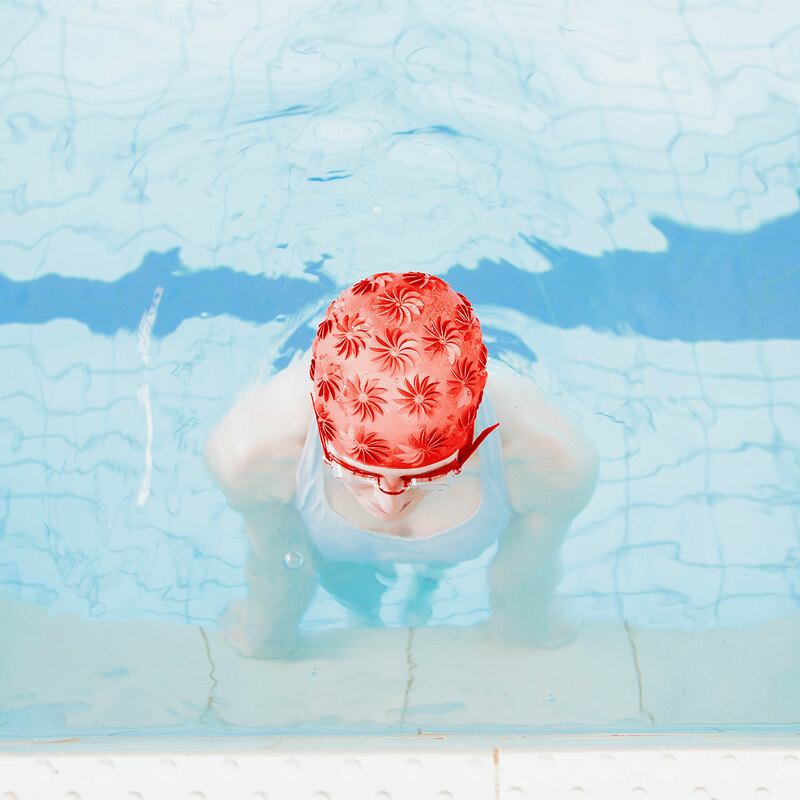 The lens of photographer Maria Svarbova has captured hauntingly still images of women in various stages of swimming in her photographic series, "In the Swimming Pool." 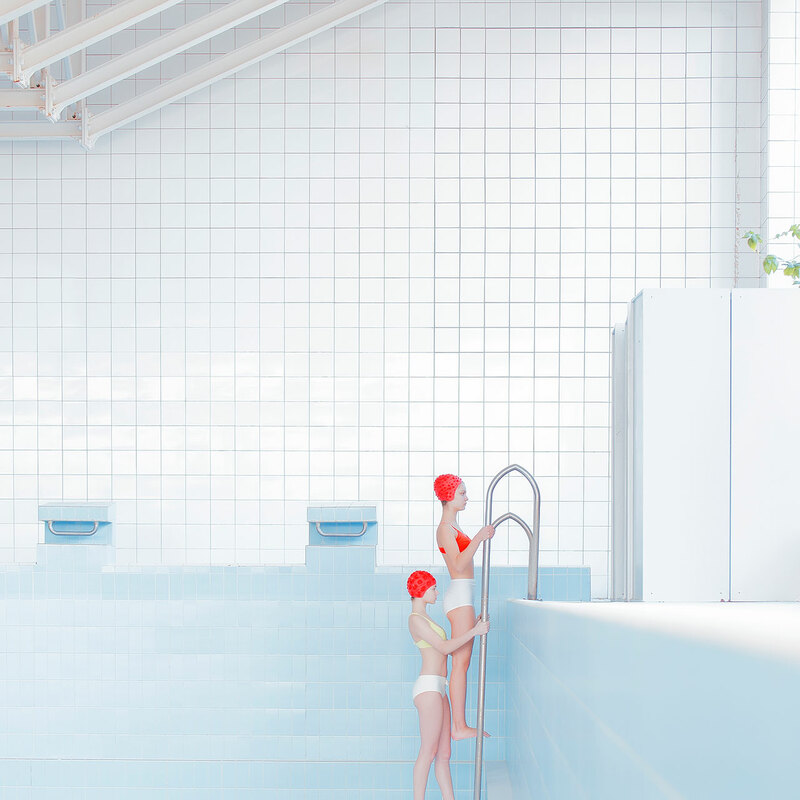 Maria says that her inspiration came courtesy of the stark architecture of her local swimming pool in Slovakia; an eighty-year old building that was constructed back when swimming was "more a social duty than a sport" which is lined with plain white tiles and "No Diving" signs. 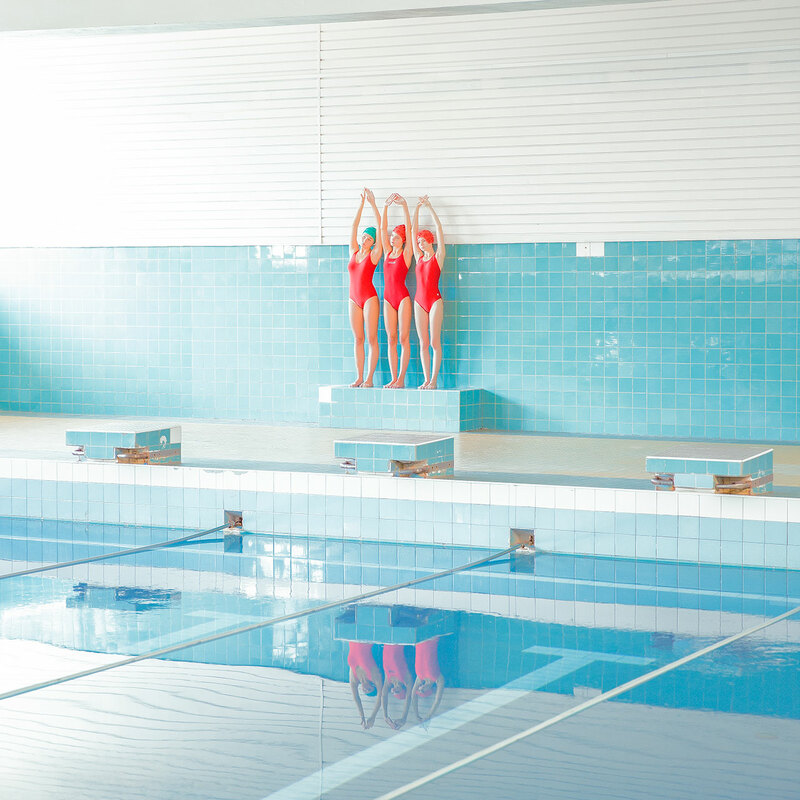 "I was struck by the calmness of the water and its mirror-like reflections," she says. "That and the signs - there were so many! For a space designed for exercise, they certainly like to tell you what you can and can't do!" 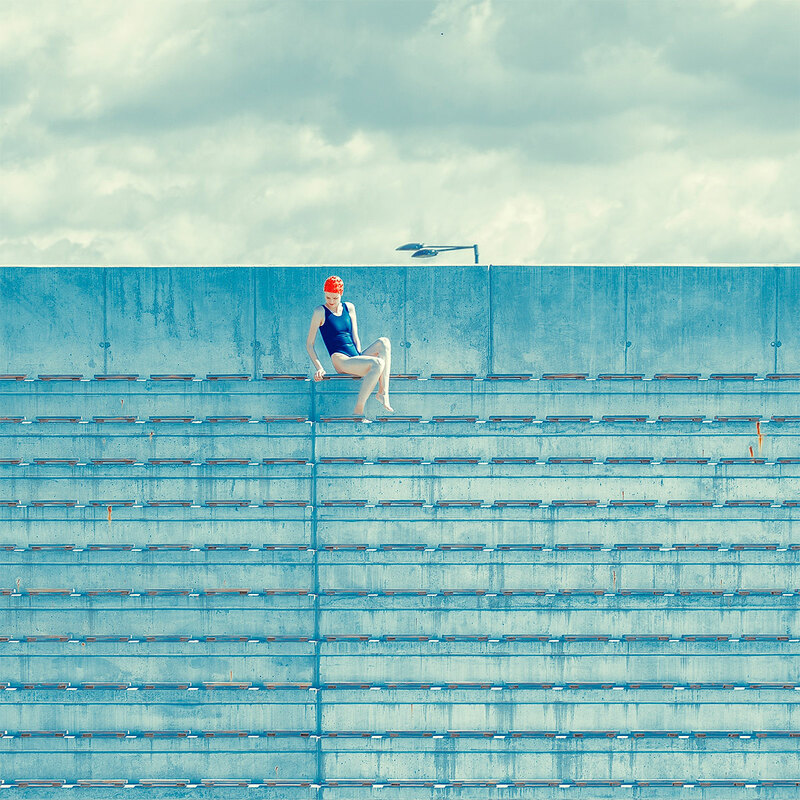 Although the photographer has always chosen to depict people as the main subject matter of her art, it's easy to question, at least at first, if in this series the photographed subjects play a supporting role to the main star, i.e. 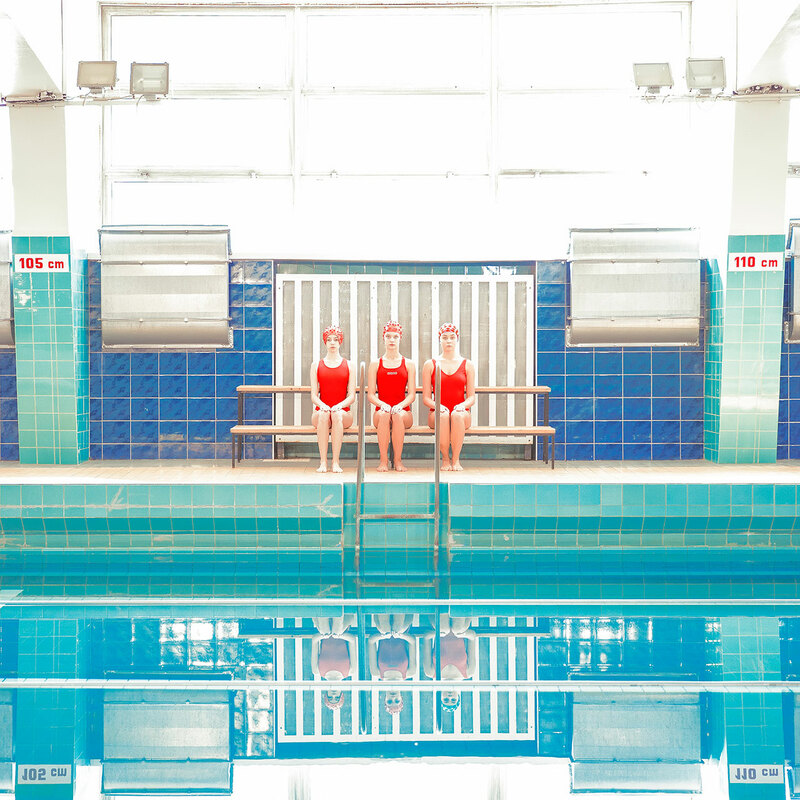 Socialist Era public swimming pools found throughout Slovakia. 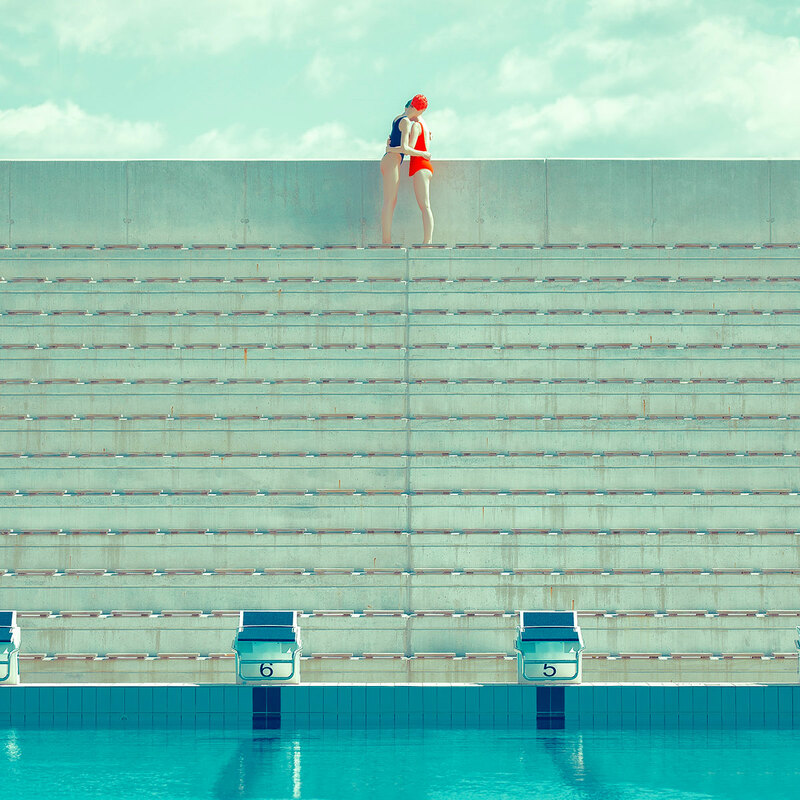 Started in 2014, the series' strong visual identity uses the swimming pool locations as austere geometric backdrops. 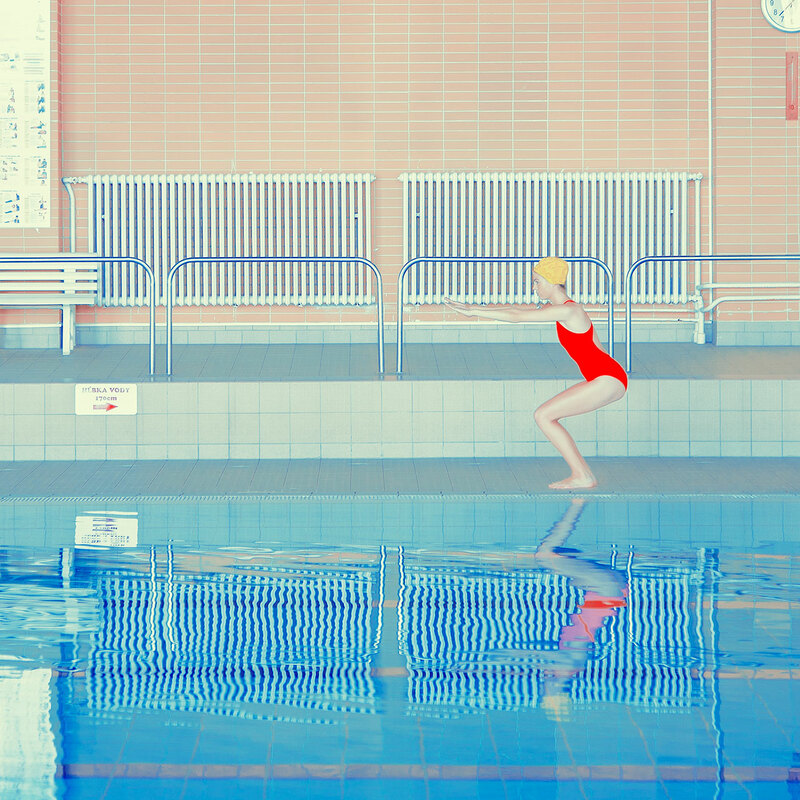 Within these, the female subjects stand out, not thanks to any movement or feeling emoted from their controlled poses - as they actually appear to be almost frozen, like mannequins - but due to their brightly colored swimsuits and swimming caps that pop as the statement elements of each composition. 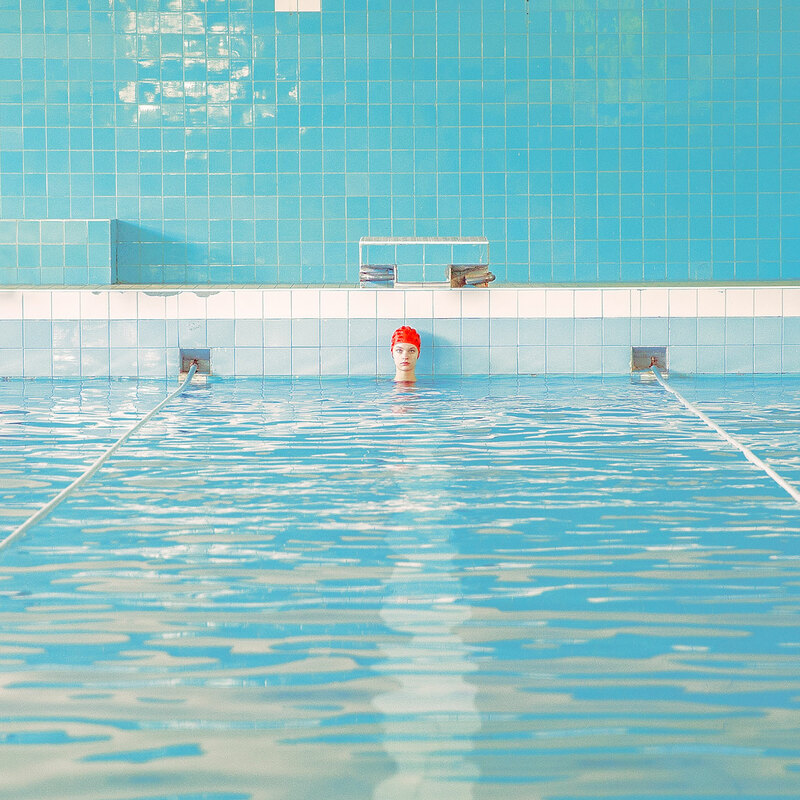 Mária Švarbová, POOL without WATER series. © Mária Švarbová. Mária Švarbová, Without Water. © Mária Švarbová. 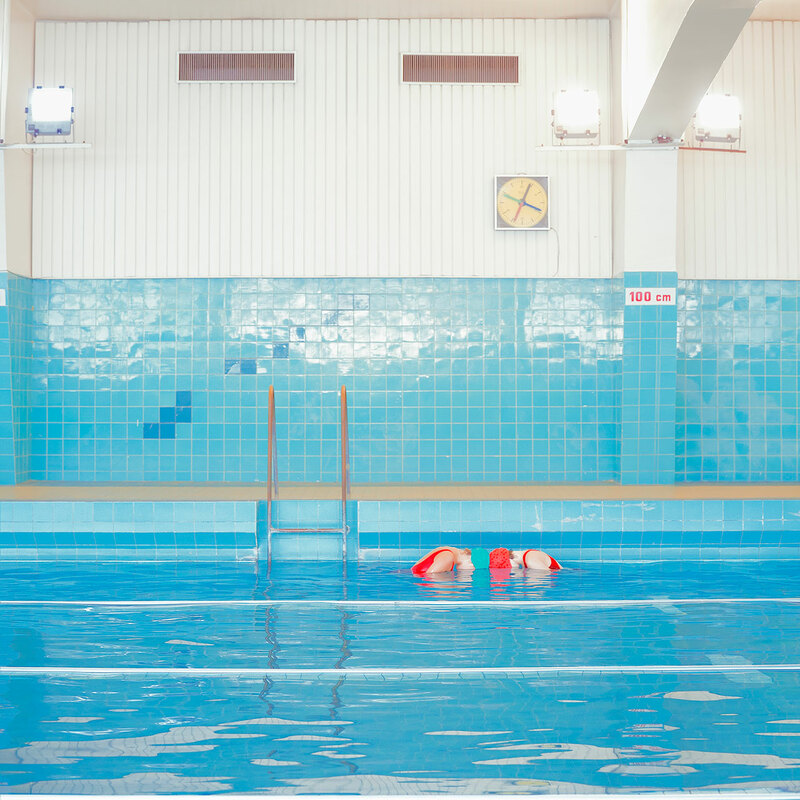 Mária Švarbová, 12, 13, from POOL without WATER series. © Mária Švarbová. 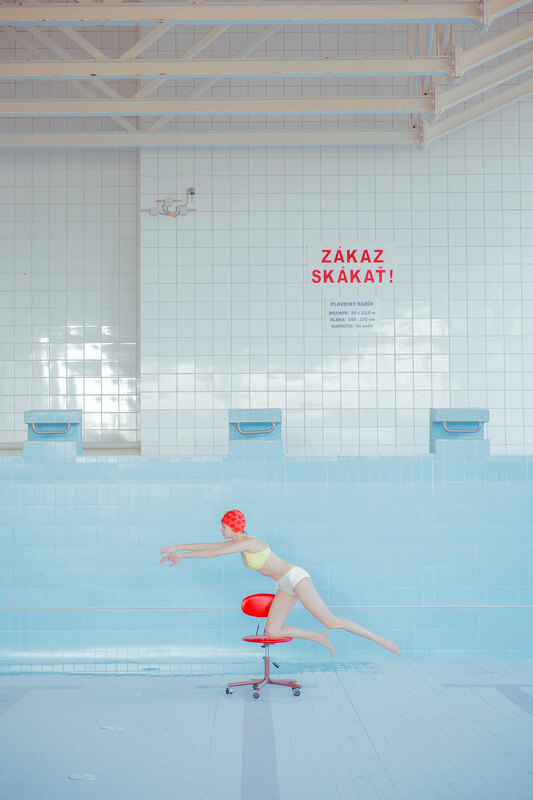 Mária Švarbová, SWIMM series. © Mária Švarbová. "People fascinate me," Maria says. "Space has no meaning without humans. The same also goes the other way around. Humans have no meaning without space." 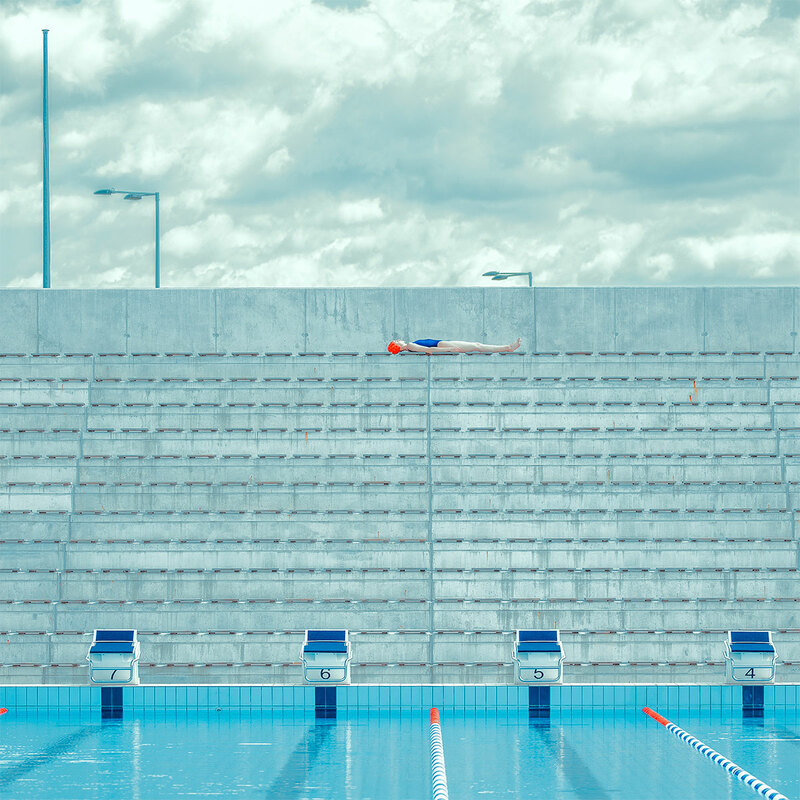 And it's easy to see her point when staring at her photos - take away the swimmers and there's no focal point to the location of these images; similarly, take away the location backdrop and the swimmers are without context. 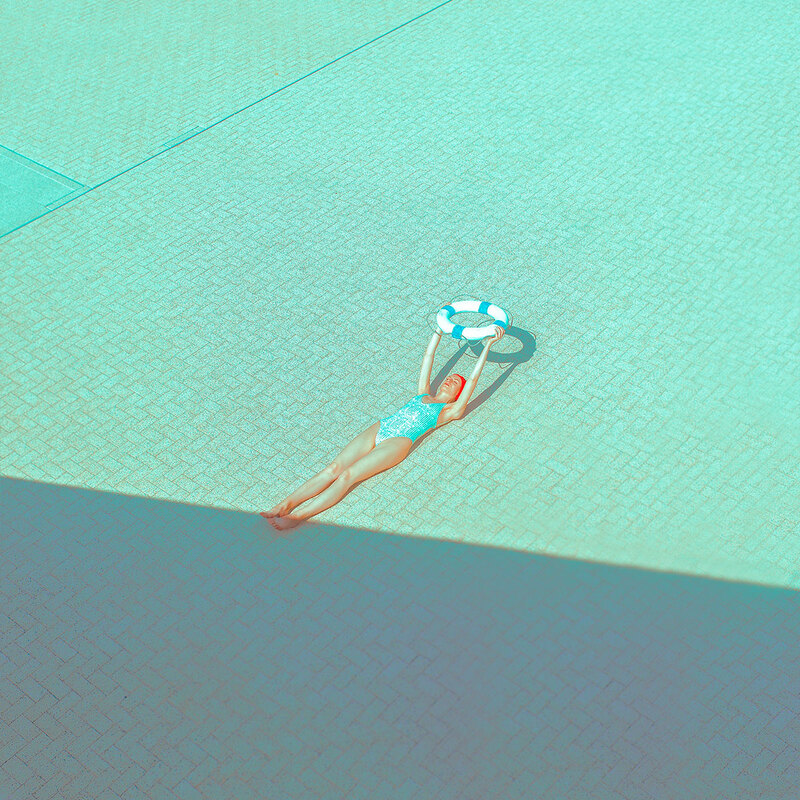 "The main focus of my series was to harmonize the humans and space," she shares. 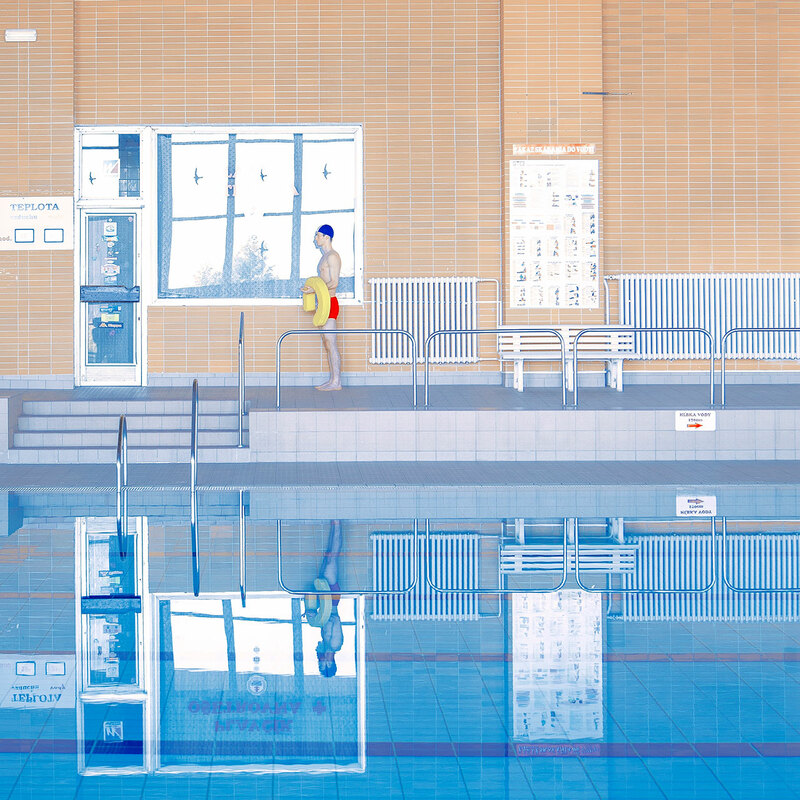 "The series challenges the viewer to question the ingrained roles people play in society," Maria says explaining that the overall narrative is: "The emptiness and mindless inability to change one's predetermined role in life in the absence of emotion." Interestingly, although severe and motionless, the images aren't disturbing. In fact, they seem to transcend not just time and eras but also any hold on a viewer's emotional language. 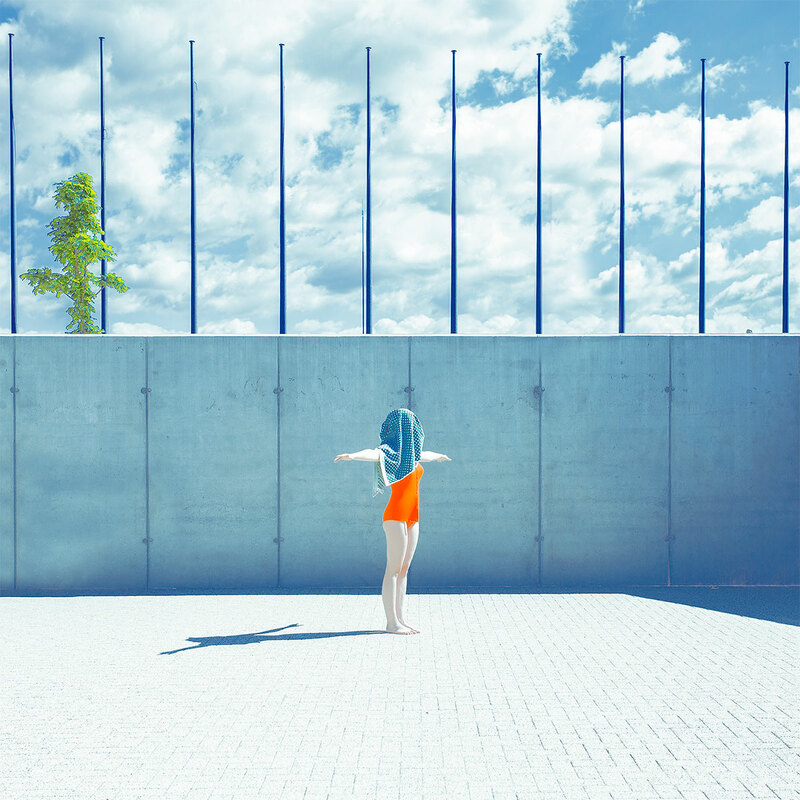 In looking at these images, the viewer seems to be able to capture the still peace of the subjects as if it were a transmittable essence. Mária Švarbová, The Tribune series. © Mária Švarbová. 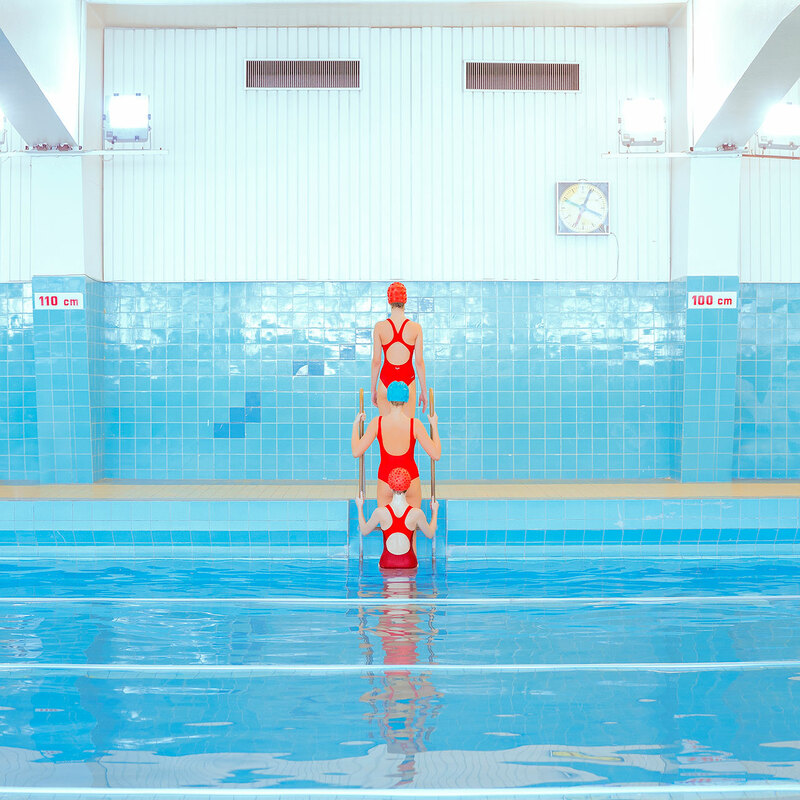 Mária Švarbová, SWIMMING trinity series. © Mária Švarbová.